An example of a candy buffet created using our DIY eBook: The below candy display was created for Crematory Manufacturing & Service in Tulsa, Oklahoma by Doth Brands for a trade show they attended for the National Funeral Director's Association in Nashville, TN. Dulce Designs was a consultant to Doth Brands and provided candy bar creative direction. For more information on Crematory Manufacturing & Service you can download the following 60 page ebook called Tempero Ignis. The following is a sneak peek of a candy display we did this past weekend at the Northern Kentucky Convention Center...as soon as we get pictures back we will be sure to load them! We were so pleased to be asked to do a candy buffet for such a great bridal show in Cincinnati this coming weekend. My parents have belonged to Ivy Hills for as long as I can remember and I can tell you first hand how wonderful their events are. From weddings to private parties...they have everything you need to make your event a huge success and the staff is wonderful. So come check us out tomorrow March 2, 2013 from 12-4pm at Ivy Hills Country Club. We will also be doing a giveaway...hooray! GIVEAWAY ANNOUNCEMENT...We are doing a banner giveaway!! We will be making a banner of YOUR CHOICE for free, this is perfect for upcoming weddings, birthday parties, baby showers, dessert tables etc. To enter is super easy, just go to facebook and "like" the post announcing the offer and you will be entered in the drawing. To increase your chances simply "share" the post! Deadline to enter is this Thursday. Stay tuned for more awesome giveaways coming soon!! I know that emerald green is the color of the year and a lot of people choose bold/bright colors for events these days...but there is just something so subtly sweet about a soft pink! I love it paired with gold and am really wanting to pair the color combo together. The candy options are so yummy and look very elegant when put in apothecary jars. So...If you are in the Cincinnati area and are thinking about doing a soft pink color for a dessert or candy buffet, contact us for 10% off. Good now through March 2013. Just mention Pretty in Pink!! That's correct...we are so pleased to announce that we now offer custom sugar cookies. 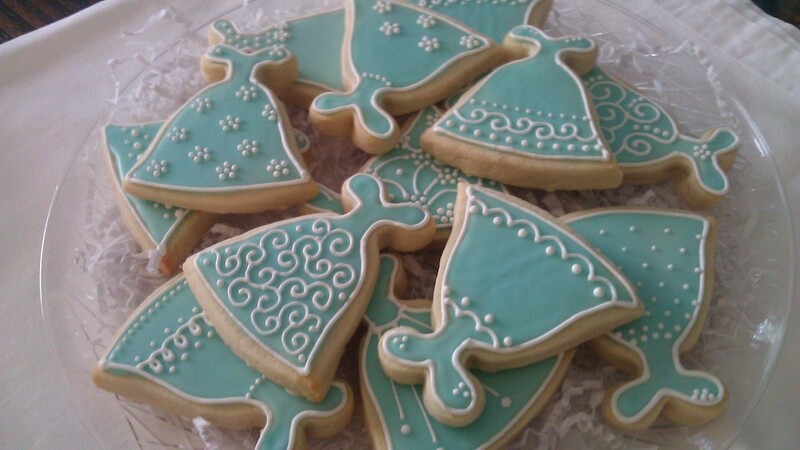 These cookies are so yummy and can be decorated to match the theme for ANY event. Although we are a Cincinnati candy buffet company we are able to ship them anywhere in the U.S. for you if you would like to send them as a gift. Contact us today to order these fabulous custom cookies!! is this Saturday January 19th, who knew this day existed?! I had no clue and it just so happens we have booked our very first ALL popcorn buffet on this very day...how fun is that?! I found this below information courtesy of, punchbowl.com. It’s National Popcorn Day! Americans eat about 16 billion quarts of popcorn each year (about 51 quarts per person), which makes it one of the most popular snacks in the country. It is also one of the oldest. Today, we rely heavily on microwaveable popcorn, which was introduced in the 1980s. To celebrate National Popcorn Day, make your favorite kind of popcorn and enjoy it while watching a movie with your friends! We are so excited to be doing a popcorn buffet for such a beautiful couple this weekend. They chose 8 popcorn flavors which include: Salt and Vinegar, Cheddar, Buffalo Ranch, Caramel, Peanut Butter, Butter, Chocolate and Banana Split. I cannot wait to post more photos after the event. We would love to help you with a popcorn buffet for your next event, contact us today for more information! This past Wednesday was the fabulous Afterhours bridal show at Music Hall in Cincinnati. The turnout was great and I was so very pleased with our display. We met alot of great brides and were able to even meet some new vendors. The show was a total success. I decided to step away from our traditional candy buffet display this show and feature our s'mores buffets, which are perfect for fall/winter weddings or for a more rustic theme. My favorite part of the display besides the centerpiece was the backdrop. I think it really adds to the display and is a great way to incorporate your colors into the buffet. The backdrop was such a hit at the bridal show that we have decided to start selling them separately or they can be added to a candy buffet package. In addition to the s'mores buffet we were lucky to have Taren with Sweet Petite Desserts contribute some of her yummy chocolate cupcakes and dipped pretzels. Meghan with Design the Date made all of our labels and paper goods. Lastly, we added our iced sugar cookies to the display in the shape of wedding gowns and diamond rings.We are now able to do cookies for any event and the detail on these is nothing short of amazing not to mention they taste wonderful. We are so excited to be able to offer all of these great new items to our customers and their dessert displays. So contact us today to order your s'mores buffet, candy, cookie or backdrop for your next event!! We are taking our first family vacation this week to Rosemary Beach, Florida! This is Nolan's first time at the beach and I am so excited to travel as a family (besides the dreaded car ride). I am so eager to go in and check out the local candy store, Sugar Shack, on this trip as I have heard great things about it. So off to the beach we go...I will be back to blogging when we get back! You may remember in February when I first created and posted about our newest DIY package, if not check it out here. Well, we were super excited to book our first wedding with this package to take place this past June. This worked out perfectly because I was still on maternity leave so I was able to still purchase some decor and stay busy with Dulce without stressing myself out with a large wedding to prepare for. My bride for this wedding, Lauren, was amazing to work with and incredibly sweet!! The result was fabulous and I cannot wait to book more DIY packages in the future. Here is what Lauren had to say about her experience with Dulce Designs and also some photos she took and was kind enough to send me of the candy buffet she created with my decor and supplies. "Angela is fabulous! She worked with me to develop a unique package where I was able to rent her jars and scoops for a small fee and then I bought my own candy and assembled the buffet. Angela even gave me ribbons and bows to match my colors as well as using Disney font for the candy labels to go with our Disney theme. She was extremely flexible and sweet whenever we talked, and it is obvious that she loves what she does. I would highly recommend Angela at Dulce Designs for a candy buffet!" Thanks again Lauren, I wish you and your new husband all the happiness in the world!! For more information on renting some of our supplies and decor with our Minimally Grand package contact us today, it is a perfect addition to any event! Happy spring!! This is by far my most favorite season of the year, even though in Ohio lately it has felt more like summer with this 80+ degree weather. I have started with all my spring cleaning, the windows are open, birds are chirping, flowers are blooming...and I love it all. This is also one of my favorite seasons for weddings! One thing I really like to take a look at each year is the spring color trends and Pantone (the color experts) have released the spring colors for 2012. I am in love with these colors and could tell by shopping lately that bright colors were going to be in. The more softer more natural tones like Starfish and Driftwood really surprised me but in a great way as I am one for neutral tones. One of the most popular colors with my brides so far for 2012 events is a dark blue, similar to Sodalite Blue with a yellow similar to Solar Power being a close second. I would love to see more events, clothes and decor in the Tangerine color..this is one of my new favorite colors for Spring all around. I now cannot wait to go shopping!! I have to take one quick second to brag...I really do have some fabulous brides that I work with! This past July's couple was no exception and so in love are they. I worked closely with Liz to design a candy buffet that matched her wedding decor and also that included her pets and love for animals. The result was fabulous and she was even so kind as to share some photos with me to post on here. 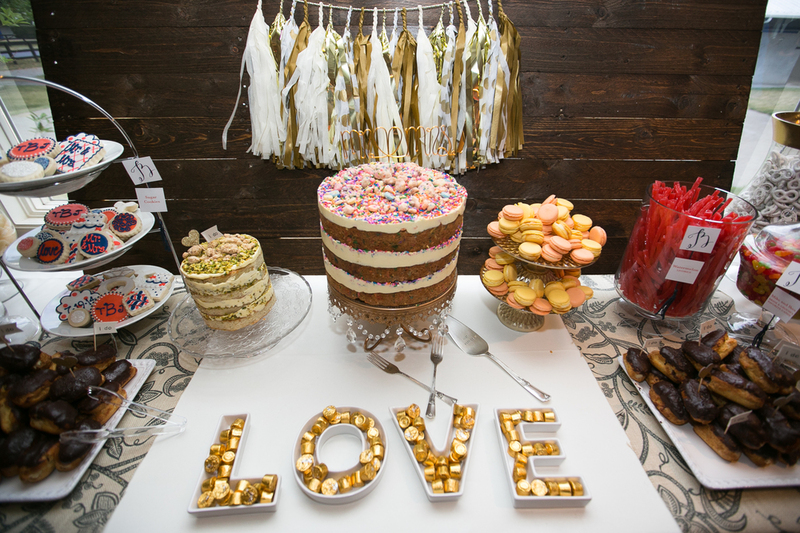 Here is what she had to say about her candy buffet, "Working with Angela was the easiest part of my whole wedding. She was prompt and receptive to my ideas--even when I had a bridezilla moment and decided to replace my entire order. The Candy Bar looked beautiful--and, of course, yummy. My photographer must have thought so as well--because we have about 15 photos of it from many different angles! It's also refreshing to see a young woman in Cincy starting her own business. Angela's professionalism and creativity were second to none--and I can't tell you how much I appreciate her flexibility and responsiveness." And by the way Liz was in NO WAY a bridezilla...she was awesome to work with and so organized!!! Thank you Jeff and Liz...I wish you a lifetime of happiness! We are so excited to be combining our talents with Sweet Petit Desserts for the upcoming bridal show at The Newport Aquarium. Sweet Petit Dessert and Dulce Designs have decided to offer brides the choice of having a delectable dessert buffet which includes bite sized desserts as well as candy! This is really something for everyone and we have packages for every budget. We have had the pleasure to work on a few events together and it has been a total success. Sweet Petit Desserts has recently begun making cake pops for all Busken bakeries and they are flying off the shelves, so to have their yummy desserts added to our display is a real honor to us! Come out to the Newport Aquarium Bridal Show this Thursday October 6th, 2011 from 7-10pm to see our display and enter to win $100 off of one of our dessert displays for your next event. We hope to see you all there!! Where does the love for great shoes come from?! Maybe it all began with childhood movies like The Wizard of Oz and those great ruby slippers or Cinderella's glass shoe...either way, girls just love shoes. So it should be no surprise that every bride wants a great pair of heels or unique shoes for her wedding day. One of my absolute FAVORITE trends right now is the pop of color bride's are wearing on their feet under that beautiful white/ivory gown. It is just so unexpected and fun...it also makes for great photos! Whatever color you choose is up to you...it can match your bridesmaid dresses, be your something "blue" or just your favorite color. Here are some photos I found to help give you future bride's some inspiration. So maybe Cinderella is proof that a pair of shoes can change your life!! Here is what the bride had to say about the candy buffet, "It was a great hit my mom said she had never seen people wait in line the way they did for my wedding I think it was the chinese take-out box and the note card on the side that worked like magic. Thanks so much for working with all my special requests I could not be more happy with the results." Here are a few photos from this spectacular wedding, one of the most beautiful I have ever been to...the bride did an amazing job decorating. I had the pleasure of working with one of my husband's co-workers, Amy and her fiance Matt, designing a candy buffet for their May 28th wedding. The wedding itself took place at St. Peter in Chains Cathedral downtown Cincinnati and the reception immediately following at the Hilton Cincinnati Netherland Plaza. She decided to do her wedding in rich jewel tones and peacock feathers. Her invitations were to die for and created by Robyn at Meant to be sent. I also got in touch with Robyn and had her create the candy labels and stickers for the candy bags so that they would match the invites perfectly, she was so great to work with! She had a variety of candies from sour patch kids to mini candy bars and as her specialty candies which are included in the Moderately Divine candy buffet package we offer she chose caramel popcorn cones and personalized Hershey kisses. For her table centerpiece I had Christie from Love in Letters create a beautiful print detailing all of the wedding information, which was also part of the gift my husband and I gave the lovely couple. It all turned out great and I was thrilled with the outcome! This was a wedding where I actually attended as a guest so I got to experience the candy buffet being enjoyed by all of the guests, who seemed to really love it. Everyone at the Hilton was so great to work with and I hope to do many more events there in the future! Congratulations again to the newlyweds Matt and Amy, I wish you all the happiness in the world! For the past couple of months I have had the ultimate privilege of working with an amazing bride. Aaron called me awhile back and we had a phone consultation where we discussed her future event in much detail and exactly what she was looking for in a candy buffet. Her colors were champagne and truffle and I wanted to make sure that we had candies in her specific colors to really tie into her whole event decor. She was an amazing bride to work with and they are such a beautiful couple both inside and out...we at Dulce Designs wish them a lifetime of happiness! Tres and I met at Northern Kentucky University in 2003 at a student organization trip to Gatlinburg. That weekend was the first time we ever spoke, although our paths had crossed a few times previously on campus. We began as casual acquaintances that grew into a much closer friendship over the next few months. We began dating and...here we are counting the days until our wedding! Tres joined the United States Army in March of 2009 and completed his training in November 2009. On February 1, 2010 he received a phone call that he would be deployed to Iraq on March 1, 2010 for a 12 month tour. 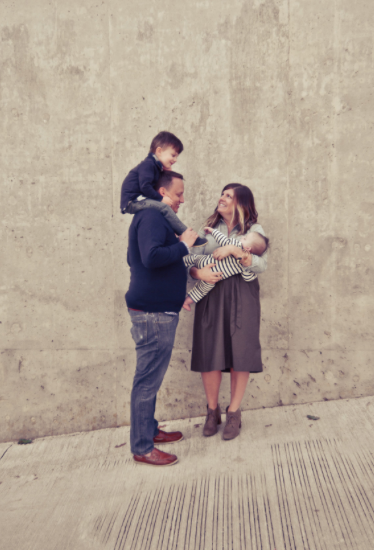 Despite our initial shock we immediately prepared for the time apart, and were both elated when we found out he would be sent home 6 weeks ahead of schedule. We have remained best friends over the years we have dated, and the challenges we have faced have strengthened our relationship with each other and our faith in God. It is amazing how much we have grown with each other's help and guidance, and we pray God will give us many more years of happiness, friendship and love. I am really into unique buffet ideas for weddings right now. While researching some new things online the other day I came across some photos of different buffets that events are having. One of my favorites was having a doughnut/breakfast food buffet set up so that as guests leave your event they can grab a snack to enjoy then or even cuter...to eat for breakfast the following morning. The idea of a breakfast buffet is also appropriate for a morning /early afternoon reception or a bridesmaids brunch. You can do an all doughnut buffet or you can do doughnuts but also add in some other breakfast favorites like bagels with different cream cheeses, muffins, cereal bars etc... There are just so many different edible favor options for all of your guests to enjoy! The first three photos are courtesy of marthastewart.com and the last is from Divine Order Photography. Also, if you are reading this and are a future bride in the Cincinnati/NKY area I hope to see you this Thursday May 19th at The Element's Afterhours bridal show from 8-11pm! !